Last week was the annual gathering of publishers, booksellers, editors and lots of others involved in the book world. Book Expo America is an event that's a lot more exciting than its name or location(the Javits Center in the ugliest part of Hell's Kitchen in NYC). None of us went for a variety of reasons this year. But I'm starting to hear good things from those present. A sense of optimism about the future of the indie book world. We don't all believe the sky is falling. It's just changing a bit and a fun part will be figuring out new ways to deliver the same things booksellers always have: new and challenging ideas, the perfect little gift or just a nice book to spend a long, holiday, weekend with. One of the great joys of working in a small store is that we have the ability to change things up fairly quickly. One section selling well and another dragging? No problem--we can create more space. 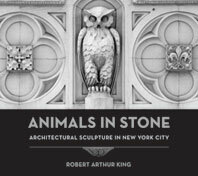 All our display is based on our personal whimsy and what we find important. No one pays us anything to display so we have no hard and set rules. Merchandising is an unattractive word--but it is a fun part of this work. Just this week we replaced an event display with a table of little, quirky, books. The range of titles is wild. Everything from dominion theology to an anthology of poets from WWII to "The Little Book of Beards" which is a gifty book on facial hair design. 33 1/3 is a great series of titles that focus on a particular album or band and, right now, we have Christopher Weingarten's "It Takes a Nation of Millions to Hold Us Back" about Public Enemy on display. 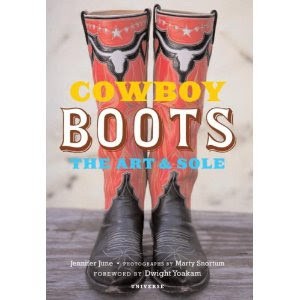 A nice book of photos of cowboy boots and a book on architectural sculpture in New York City. If none of that interests you, we've got more little books that have a tendency to get lost--even in a store of our size.